Unite Report: London Health Crisis! A landmark report, launched today on London’s NHS highlights a cash strapped and fragmented health service – and proposes an 18-point plan to save the capital’s NHS. The report, London’s NHS at the crossroads, outlines an unravelling of services as the NHS becomes more fragmented and financially squeezed. This is coupled with a management vacuum at the strategic level – with the public having no real voice in decisions that affect them. 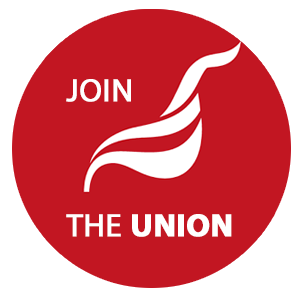 The report was funded by Unite, the country’s largest union, with a 100,000 members in the health service. The chair of the inquiry Roy Lilley said: “I was truly shocked at the unravelling services, the complexity and the enormity of the difficulty involved in trying to plan and deliver cohesive, integrated services from the wreckage of a fragmented care landscape. “The financial squeeze that services are under and the lack of certainty is made all the worse by a management vacuum at the strategic level. The panel is convinced that the levels of proposed financial restraint for the next seven years are “unsustainable without serious damage to the quality and availability of NHS services, both in London and in England as a whole”. • fresh efforts to reduce the cost of existing private finance initiatives (PFIs) and stem the flow of PFI payments to tax havens.